Height: 4 1/4", Width:3". 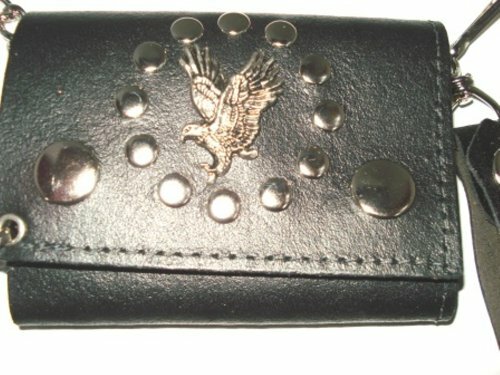 Men Black Leather Wallet with chain. Crafted of fine cowhide leather. Features 2 slots for credit card or Id. A middle pocket for currency. 2 Snap closure. A chain 14" long with a loop for the belt.